Carpenters Wood in Chorleywood, is an ancient semi-natural woodland covering 56 Acres, having been wooded for at least 400 years. Our woods lie in the Chilterns and forms an area of Outstanding Natural Beauty which are of County importance for their wildlife and fauna. Access to these woods can be gained through Farm Road and Whitelands Avenue. 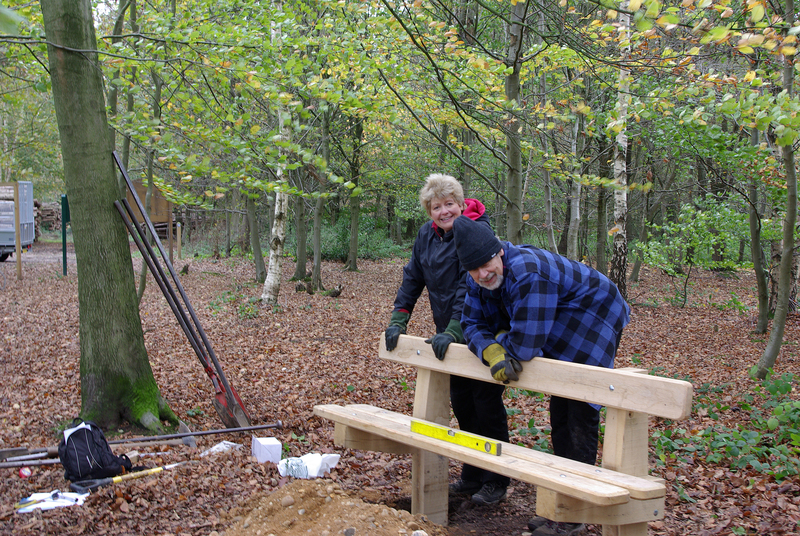 The ‘Friends of Carpenters Wood’ are a group of local volunteers, who have for many years dedicated themselves to caring for the woods with the support of Three Rivers District Council Woodland Management team and the Countryside Management Service. The Friends meet in the morning twice a month on pre set dates and a diary of volunteer sessions is available on this website. We are involved in path clearance, holly removal along the boundary of the woodland, general maintenance work, and specific project work that is linked the next 5 year plan aimed at continuing enhancement of the woodland for it’s users.